Parenting involves a lot of skills; it is not easy to become a parent. With so many things to attend to including preparing as well as cooking meals, working in the office, helping with children’s assignments, attending parent’s school meetings, consulting with teachers, and completing different household chores, one needs far more than wisdom to successfully manage all tasks. Fortunately, the evolution of electronic gadgets has helped parents balance time between work and family life. The iPad for one is a secret tool that parents can use to accomplish parental roles easily. Baby Connect is one of the most comprehensive tracking iPad applications for babies. It is loaded with important categories for taking care of babies from feeding to administering medication. It is like having a medical profile, a diary, and schedule matrix rolled into one. With this app, you do not need to keep too many profile files for your kids and easily reach them when you need it. Sleepasaurus is an ideal sleeping partner for toddlers who have inconsistent sleeping habits. Kids can select from any of the seven baby dinosaurs and let them sprinkle magic dust for sleeping before they go to bed. When the dinosaur is asleep, it won’t wake up not until the alarm sets off. It has also bedtime music. L’Escapadou’s Writing Wizard was created to assist children when learning how to write via methods that will keep them interested. It can be configured to complement writing needs and check progress. It has 26 animated sound effects and sticker for them to trace too. Food on the Table helps mom or dad prepare weekly meals that are chef guaranteed and suited according to personal preferences. It also helps find groceries for ingredients and organise grocery shopping list. Babies grow and what a wonderful application Parenting Ages & Stages is. You get all the information needed about kids in different ages and stages. Just add your children’s photo in the apps to customise and receive information about a child’s development. MeeGenius is virtually a library on books for kids. It contains several bedtime story books which you can read to your kids or let them read to make their imaginations run creatively. The dictionary is one of the most important reference books from childhood even up to the twilight years of an individual. As your kids start to discover new words, it is your obligation as a parent to help them with vocabulary. In relation to that, Merriam Webster Apps is an application that do not only defines words but give sample sentences and find antonyms synonyms, among others. ParentKit is a helpful tool for scheduling and gaining control over kids’ device. It acts as a remote control for gadgets where you can monitor usage, purchase of apps, and other activities within the device. This is useful when your children are too minor to search the Internet. You can permit them to go online but you can also shut down applications, websites and games during study time. There are iPad applications that let you know almost everything about your kid’s activity in social media. You will know whom they are friends with and how much time they spend on social networks like Facebook for example. You can also restrict inappropriate texts and images and be alerted of your kid’s restricted activity. Some apps also have a map so that parents can trace children’s whereabouts and even instantly seek help in case of emergency situations. Even adults need restrictions when it comes to watching movies. Kids in Mind provide detailed information on movies. This way, you can decide whether your kids can watch a certain movie or not. It has more than 3,000 film reviews with ratings attached in the data base. It has weekly updates on new movies with reviews and ratings as well. Doing housework repeatedly can be annoying for parents. The good news is that there are applications that will make it easier to complete household tasks by creating a checklist of routine jobs and select a specific schedule when you want these to be done. Once completed, the list is refreshed. It can be synchronised with other devices too so the entire family know their obligations as well. Family life has countless activities and in order for each family member to have common agenda every time, the Cozi Family Organizer can help. It has a shopping list for sharing, to do list, status reports on activities, and a lot more. It can be considered as a toolbox for parents integrated in an iPad. 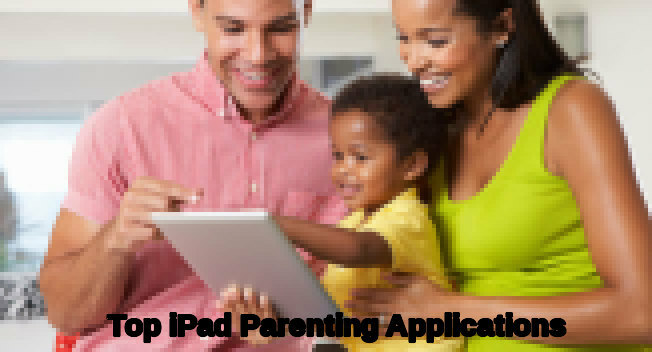 The iPad is indeed an amazing tool for parents to manage and monitor not only kids but also different household and personal matters. As a word of caution though, bear in mind that these applications are just tools to make some parental roles and activities easier to deal with. But these are not solutions against family quarrels, to rear up children positively, promote healthy family relationship, and become the best parent in the world. There are other factors involved in maintaining a harmonious family relationship and you cannot consult your iPad for that. Communication and understanding still play a great role in family life.